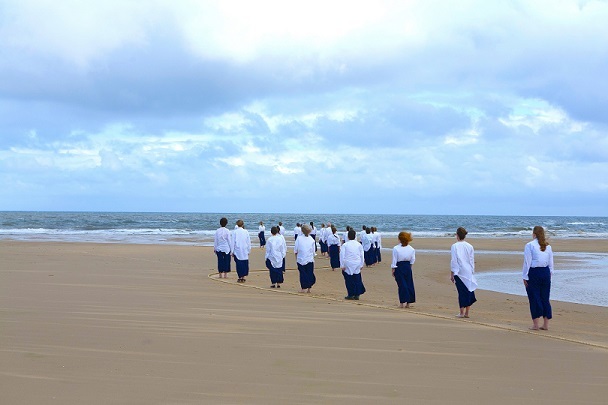 Hosted at an offsite location as part of the Summerhall Festival 2014 series, Out of Water begins with the audience being led across the expanses of Portobello Beach, meeting a collection of performers dressed in identical blue trousers and white shirts. Although not obvious, these performers are largely members of the local Portobello community, recruited by the artists for the series of one hour performances. Sound is integral to the performance: each audience member is given a device whose headphones emit almost bewilderingly dislocated sound, drowning out the physicality of the immediate environment, individualising each audience member’s experience, and enabling the entrance into the life-world of the performing characters. 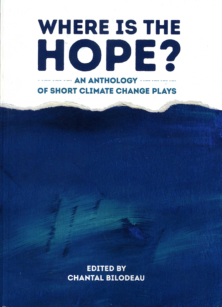 Throughout the performance audience members experience shipping forecasts that progress into calls for help, and guidance about the flying patterns of geese when familial members are suffering. Jocelyn Pook’s score accompanies the collaborative ‘breathing’ of rope, and the ceasing of the music becomes a powerful tool in commanding the group of audience members. Equally powerful is the voice of soprano, Laura Wright, whose sound manages to carry on the beach, culminating in a choral song from many of the uncharacterised performers. Throughout the performance the notion of time is a central theme, most evidenced through the choice of of locating the production either at sunrise or sunset. The audience awareness of temporal passage is heightened by this, with the light distinction echoing the progression and change the piece depicts: it adds a certain gravity to the performance, the natural light change acting for technical benefit. Although the piece is abstract in nature, this passage of time, and the place of relationships and reciprocity within this time stand out. It is piece that lingers with the observer. Out of Water does not only relate to sustainability through it’s direct examination and interaction with the physical environment: the piece is produced by Artsadmin, an organisation that aims to be a leader in the arts in responding to climate change through artistic practice, whilst finding ways to reduce the environmental impact of the arts. Throughout the development of the work, the notion of sustainable communities has also been given prominence with Paris and Wright’s liaison with artist and Portobello resident, Michael Sherin. The locally-recruited performers and performances are rooted in the community that they exist within, boosting social interaction and providing artistic opportunities to those who might not otherwise perform at the Fringe. Out of Water is immersive, not only for its actors, but for those who witness the piece. In the sand and sea-exposed surrounds, it is a production that challenges its audience to confront their relationship to a natural threat and to human resilience: each common threads of growing sustainability concerns in our society. 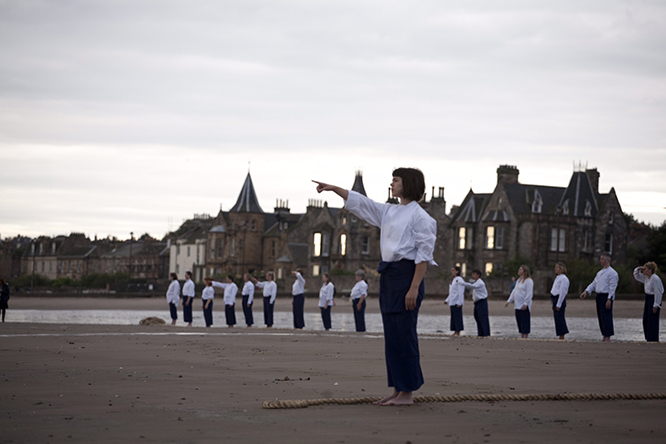 Out of Water ran from 8-10 August 2014 with dawn and dusk performances at Portobello Beach. 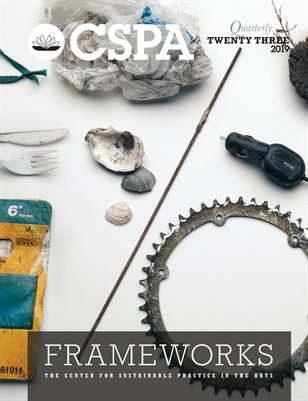 The production has been shortlisted for the 2014 Edinburgh Fringe Sustainable Practice Award. 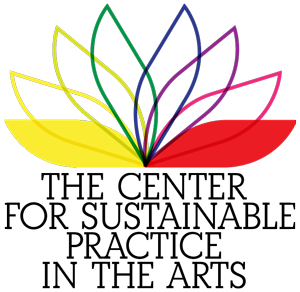 The post #GreenFests Highlights: Out of Water appeared first on Creative Carbon Scotland.